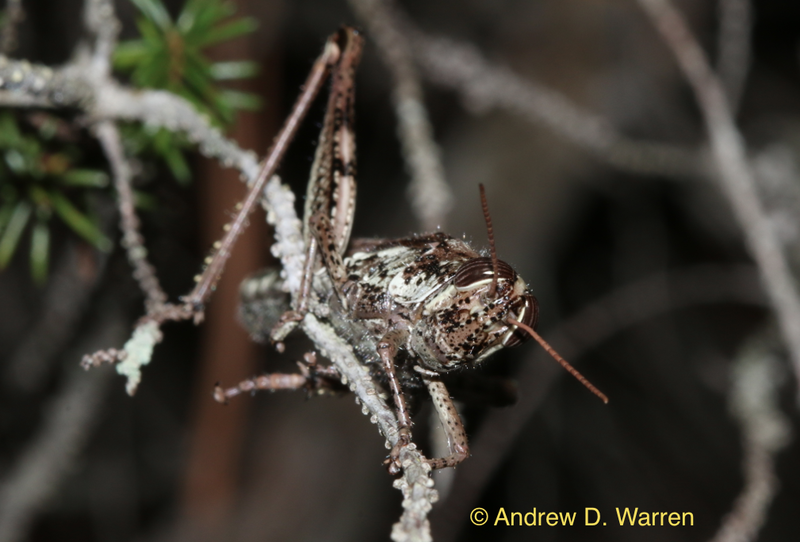 Rosemary Grasshopper (Schistocerca ceratiola)- The Holy Grail of Florida Grasshoppers! Despite its common name and appearance, Florida Rosemary is not related to culinary Rosemary (Rosmerinus officinalis), but for one particular grasshopper, it is just as tasty. Florida Rosemary produces fresh vegetation throughout much of the summer and fall, providing a unique resource for a unique grasshopper. Would you believe there are grasshoppers hiding deep within these bushes? Big grasshoppers! 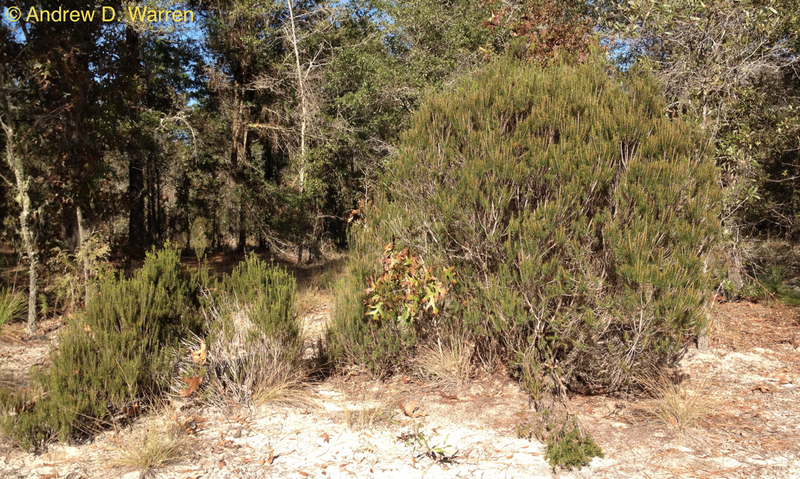 Fresh, new growth on today’s Florida Rosemary bushes. Grasshopper food! Unknown to science until 1928, the Rosemary Grasshopper is a large (28-32 mm in length) grasshopper in the genus Schistocerca. Grasshoppers in this genus are commonly called Bird Grasshoppers due to their large size and strong flight. Appropriately for the Rosemary Grasshopper (Schistocerca ceratiola), it was named after its unique foodplant (Ceratiola ericoides). Unlike most grasshoppers, which are generalists that feed upon many plants, the Rosemary Grasshopper feeds only on Florida Rosemary! This grasshopper is very rarely seen, since it is usually active only at night. Add to this its extremely restricted distribution to pristine sand ridge habitats in central peninsular Florida (it does not range outside of the state), and the Rosemary Grasshopper is literally the Holy Grail of Florida grasshoppers! This grasshopper felt very much at home within the rosemary bush, and was reluctant to move when disturbed. I was able to part the rosemary branches to get a better view, and could even touch the grasshopper (it crawled onto my finger at one point)- at most it would jump to a nearby branch. Thus, we had several minutes together, as I attempted to photograph her in detail. I enjoyed watching her move, so very slowly, along the rosemary branches. Every time I took my eyes off of her, I literally lost her and had to make her jump to see her again! Despite its long wings and strong flight, the Rosemary Grasshopper is extremely sedentary, and pretty much refuses to leave its rosemary bushes during daylight hours. After this chance encounter, I spent much of the rest of the afternoon searching nearby rosemary bushes for more grasshoppers. Five or six times I thought I saw one deep within a bush, but each time was a false alarm. For this large grasshopper to have hidden from science until 1928 at first seems remarkable, but after an afternoon observing one within a rosemary bush, I can understand why! 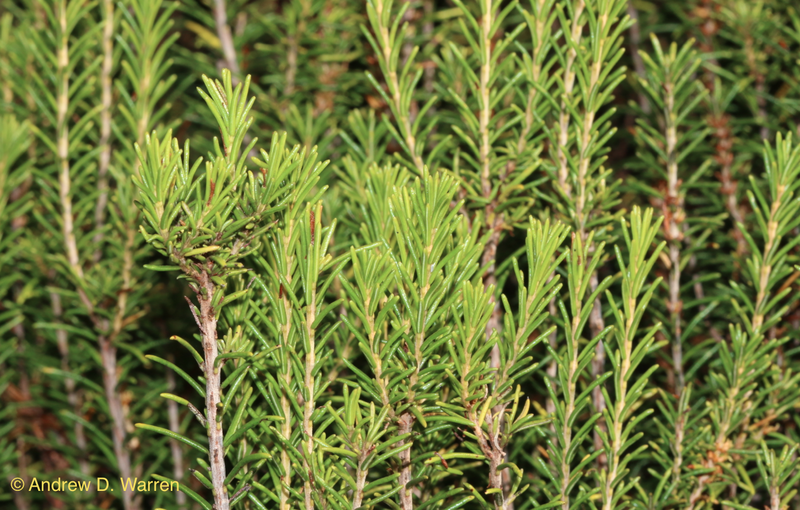 The Rosemary Grasshopper is an incredible master of camouflage! 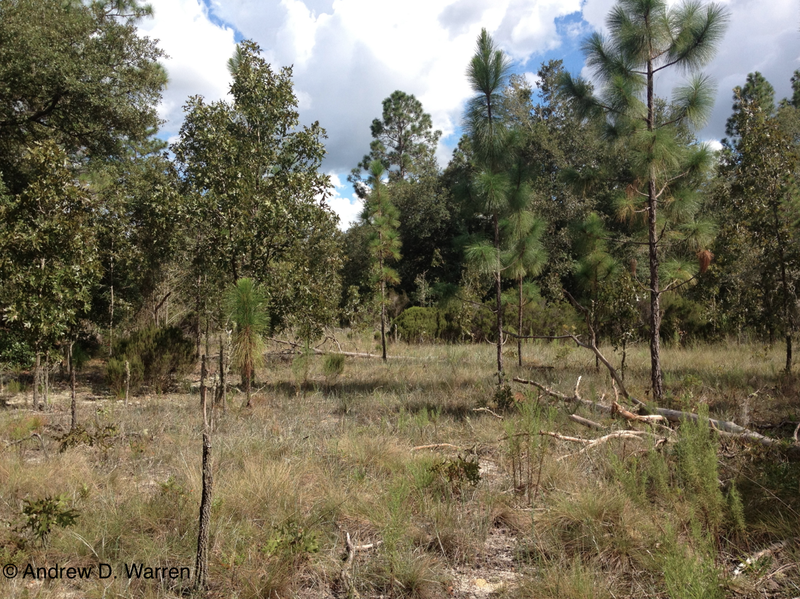 It is also an incredibly unique part of a special, endangered Florida habitat. I’m so happy to have finally found one! 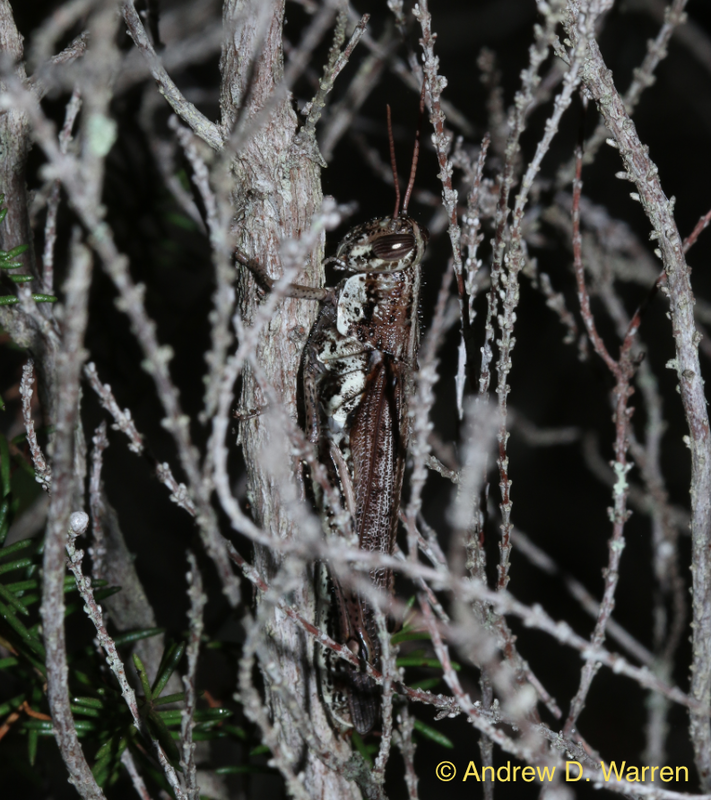 This entry was posted in Uncategorized and tagged Ceratiola ericiodes, Florida, grasshopper, Insect, Orthoptera, Rosemary, sand ridges on November 9, 2013 by LepScience. Congratulations on a great find. Florida is such a wonderful entomoligical playground. I rarely looked at insects prior to my move here. Now I am obsessed! Love the blog! The lede is so TRUE! Nice post and nice find.